If you're on the lookout for a casual yet on-trend ensemble, marry an olive military jacket with Bonobos slim fit stretch washed chinos. Both pieces are totally comfortable and will look great paired together. White leather low top sneakers will add more playfulness to your getup. 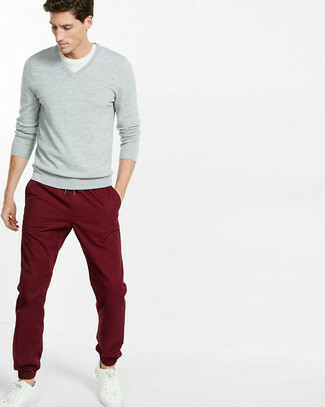 This combo of a grey v-neck sweater and Bonobos slim fit stretch washed chinos is simple, on-trend and so easy to replicate. White leather low top sneakers will deliver a more relaxed feel to your outfit. This combination of a charcoal wool blazer and Bonobos slim fit stretch washed chinos is super easy to pull together in next to no time, helping you look stylish and ready for anything without spending too much time combing through your closet. 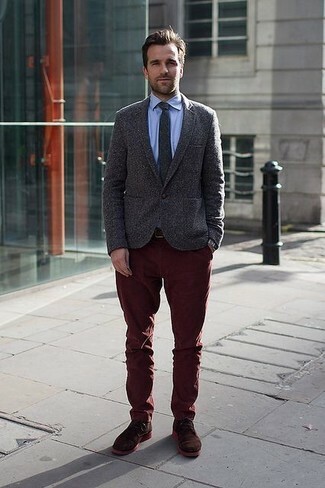 To add more class to your outfit, finish off with brown suede derby shoes. For a smart casual outfit, try pairing an orange overcoat with Bonobos slim fit stretch washed chinos — these items fit perfectly well together. 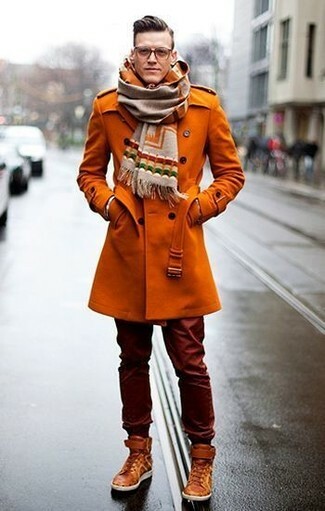 When it comes to shoes, this ensemble pairs nicely with orange leather casual boots. For a casually elegant getup, consider pairing a charcoal wool blazer with burgundy chinos — these two pieces the office really great together. 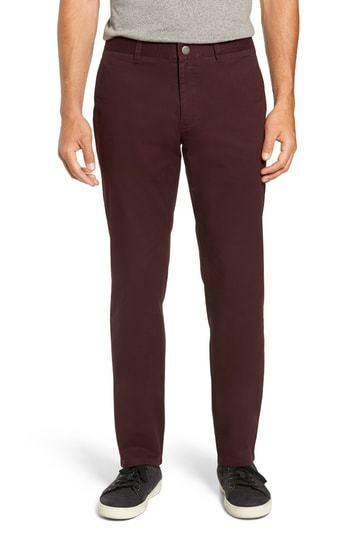 When it comes to shoes, this outfit is round off nicely with burgundy suede desert boots. 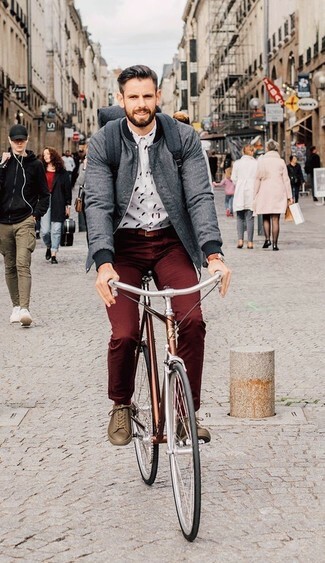 If you're on the lookout for a casual yet dapper getup, consider pairing a grey bomber jacket with Bonobos slim fit stretch washed chinos from Nordstrom. Both garments are totally comfortable and will look great paired together. Make your outfit more fun by rounding off with brown leather low top sneakers. 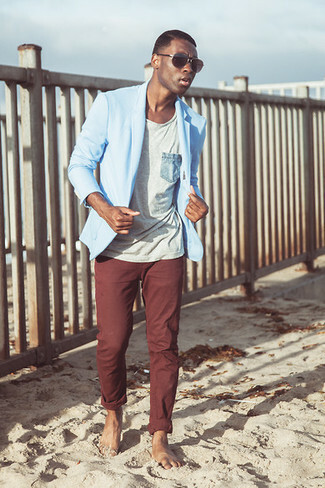 For a casually elegant ensemble, pair a light blue blazer with Bonobos slim fit stretch washed chinos from Nordstrom — these items play really savvy together. 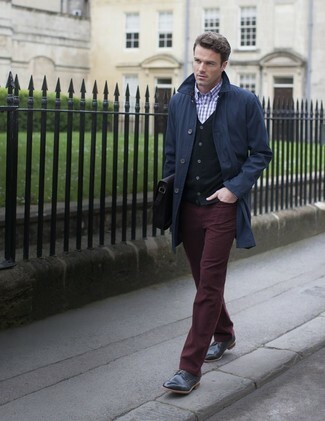 For a smart casual outfit, make a navy trenchcoat and burgundy chinos your outfit choice — these two items go really good together. 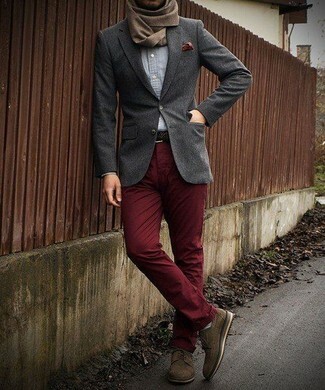 When it comes to footwear, this ensemble pairs nicely with black leather derby shoes. If you like a more casual approach to style, why not try teaming a white long sleeve shirt with Bonobos slim fit stretch washed chinos? Bring a touch of sophistication to your look with dark brown leather brogues.